i really, really love this outfit. i was hesitant at first because these shorts are quite short and i'm nervous about my legs, but in the end i was so happy with the outfit that i didn't even think about it. i'm wearing sunglasses here, the sun was in and out all day. i don't wear sunglasses often, particularly for photos, i don't think i have a sunglasses face. i always feel so pretentious wearing them for photos! i'm also wearing my converse again, right now i'm opting for maximum comfort. for no reason, really, but i just love wearing them. Such a super cute look! 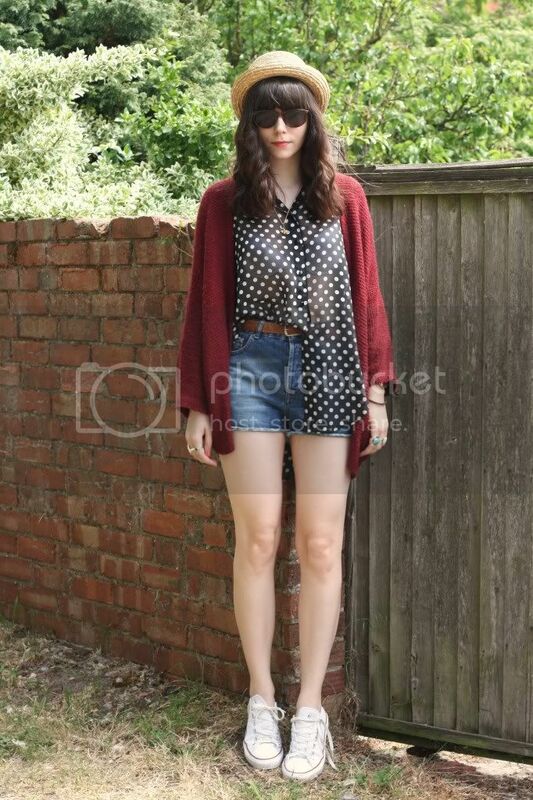 The outfit is definitely a go-to for comfortability, and I love how your paired it with those chic Converse sneakers. Aww you always look so stylish and well put together, I really love your burgundy cardigan and how it seems to travel through the seasons so effortlessly! Also, you have no reason whatsoever to be apprehensive about showing your legs, they're awesome and they look so long! It's times like these I wish I was taller. I am so jealous of your hair. The cardigan is gorgeous! I love the colour and the batwing-esque sleeves! Such a great look. I love the polka dots and the color of the cardigan. I love your blouse! 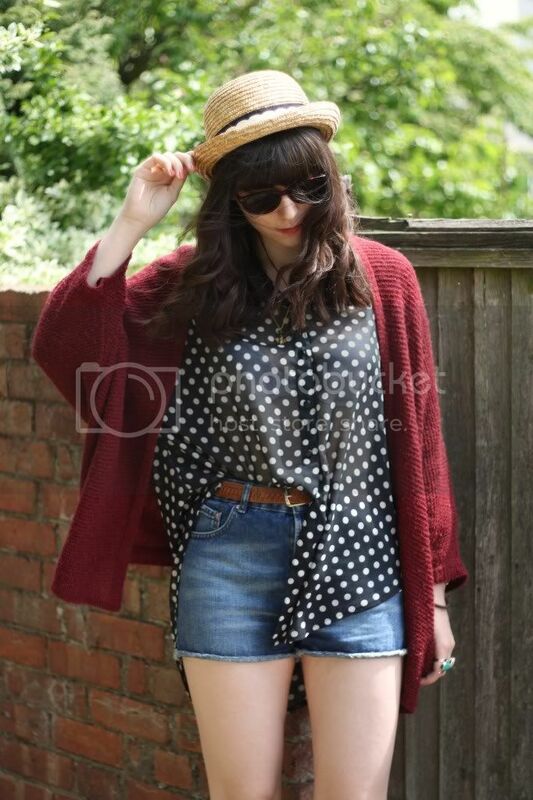 Polka dots are perfect for summer. Very cute. I love your top! you look very beautiful! You shouldn't be afraid to show off your legs! This outfit is lovely, as always. And I perfectly understand you about the converse and maximum comfort! 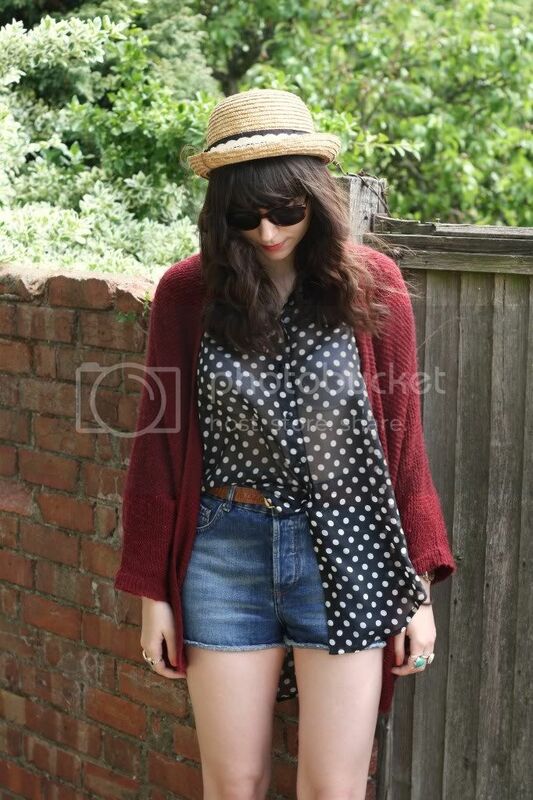 love the half-tucked poka dots- nice combination!